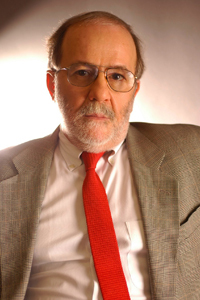 Bulent Aliriza is the 2014 Turkish Lecture Series speaker. Bulent Aliriza, founding director of the Turkey Project at the Center for Strategic and International Studies in Washington, D.C., will deliver a public talk on Turkey’s political and economic climate at Emory University. Presented by the Claus M. Halle Institute for Global Learning and the American-Turkish Friendship Council, the event will take place Thursday, March 27 at noon in the Lawrence P. and Ann Estes Klamon Room in the Claudia Nance Rollins Building, 1518 Clifton Rd. Aliriza will discuss domestic ferment in the country following last summer’s protests and ongoing corruption scandals. His talk, which is part of Emory’s annual Turkish Lecture Series, will address how this period of turbulence might affect Turkey’s economic outlook and foreign policy in the years to come. Prior to joining CSIS in 1994, Aliriza was a senior associate at the Carnegie Endowment for International Peace. He had previously served as a Turkish Cypriot diplomat in New York and Washington. He has lectured widely in the United States, Europe and Turkey, and is a frequent media commentator on Turkish foreign policy and domestic politics. Admission is free and includes lunch. Guests should register online to attend. Parking is available in the Michael Street Deck, 550 Houston Mill Rd. Emory’s Turkish Lecture Series bring public intellectuals in the fields of Ottoman and Turkish studies, including business and trade, history, politics and culture to interact with students, faculty and the broader Atlanta community. The series is hosted by the Halle Institute in partnership with the American-Turkish Friendship Council and Emory College of Arts and Sciences. Previous speakers in the series include Turkish Ambassador to the United States Namik Tan, women’s rights activist and scholar Ambassador Melanne Verveer and former Turkish Ambassador Nabi Sensoy, among others.